Earlier this summer I sat in on a webinar by Beth Kanter on running a “Data Informed” organization. Here are some reflections on her topic. I talk a lot of about creative ways to present data-driven stories, but you have to have data to get there. Many organization and community groups are still thinking about how to integrate data gathering into their work. 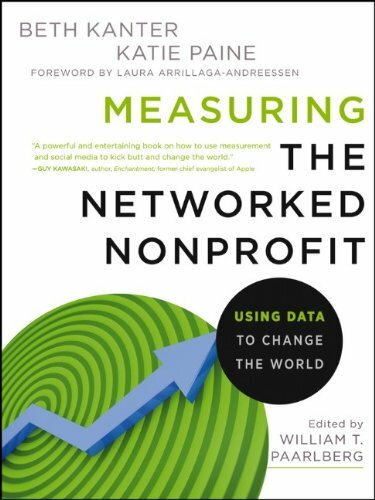 For those folks, and everyone else, I suggest taking a look at Beth Kanter’s latest book – Measuring the Networked Nonprofit. She runs through a process for going form crawling to flying with your data. This approach of growing engagement over time is a great way to think about integrating data into your organization’s behavior. For many groups this is about culture change, not one time data expeditions. Even better, she gave examples about how to create reasonable metrics for campaigns that involve social media. This kind of guidance is invaluable because it gets past some of the hand-waving about follower counts and so on. Data-informed cultures are not slaves to their data. I like that. I think I may need to embrace this term more, because it better reflects how I think this work. That’s a really nice post.